We are happy to announce that our recently updated Android application includes full support of Kanban Tool On-Site installations. In the event that you're using Single Sign-On and there are users with no password set, note that they can use their API token to log-in. In such cases, the username field needs to be left empty, and API token entered as password. 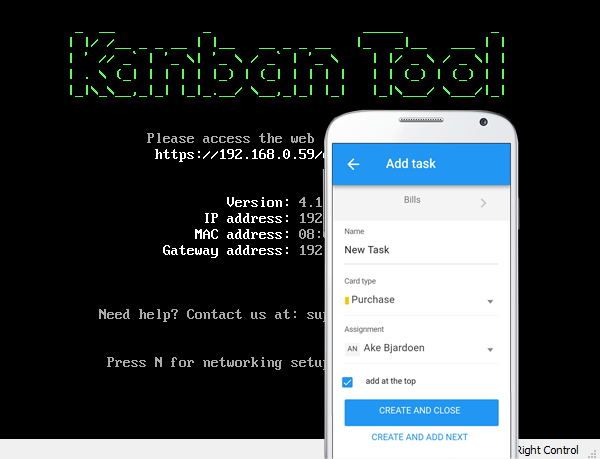 If you are using Kanban Tool On-Site's self-signed SSL certificate, please note that on first login users will need to accept a warning message twice, after which the application will continue on to logging them in. Our new Android application looks have been nicely refreshed and navigation through workflow stages has been improved. You can also view card comments, checklists and history now, also all of the newest Power-Ups have been introduced to the mobile app. These include Task Summary, Recurring and Postponed Tasks and Checklist Templates. We hope you like the new application, and that it will further improve how you organize your work. Please note, a new release of the iOS app is also coming soon.